Simon Whitlock fired in an impressive 15 maximums and a 12-dart leg on his way to winning week 10 of the Portsmouth Individual League. 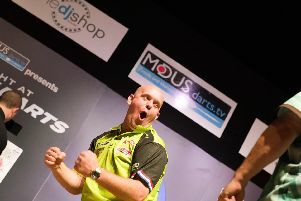 The Waterlooville-based ace, who currently sits eighth in the PDC order of merit, beat Liam Jafkins in the final having dispatched Jon McCoubie in the previous round. Jafkins won his semi-final against Steve Balders. Buster Turner won the plate contest, with Paul Gibbs finishing as runner-up and John Large and Steve Harradine reaching the last four. 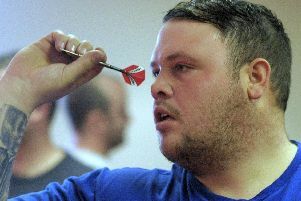 Jafkins, Ross Hughes and Callum Francis also threw 12-darters, with Francis notching a 152 finish.